You will learn how to safely carve your own beautiful spoon using just a small axe and a couple of knives. All tools and materials will be provided, and so will a simple morning tea. This workshop is set in the Wombat One workspace at the beautiful Royal Tasmanian Botanical Gardens in Hobart. No experience needed and you take home what you make. For people aged 16 and over. 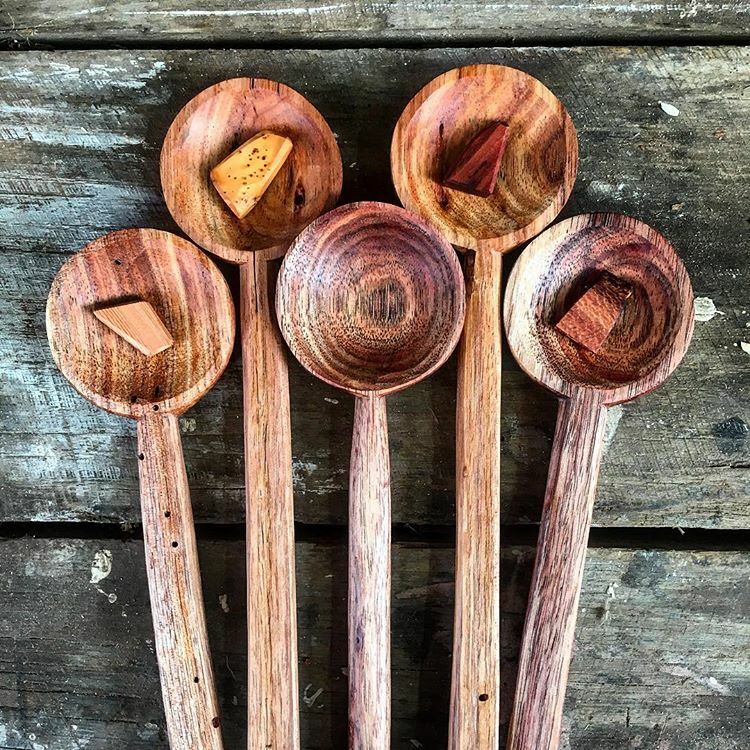 Join professional Spoonsmith, Jeff Donne, for a hands-on day of carving your own kitchen utensils using a small axe, some specialised carving knives and your hands. Carve small spoons, butter spreaders, spatulas and spurtles straight from a tree using traditional skills and experience the blissful feeling of whittling away the hours at an unhurried pace. Learn about sourcing sustainable materials, the basics of traditional tool use, and how to safely turn a log into your favourite wooden utensil. No experience is needed and all tools, materials and a leather apron are provided. All you need to bring is you, a pair of closed top shoes and a willingness to whittle.